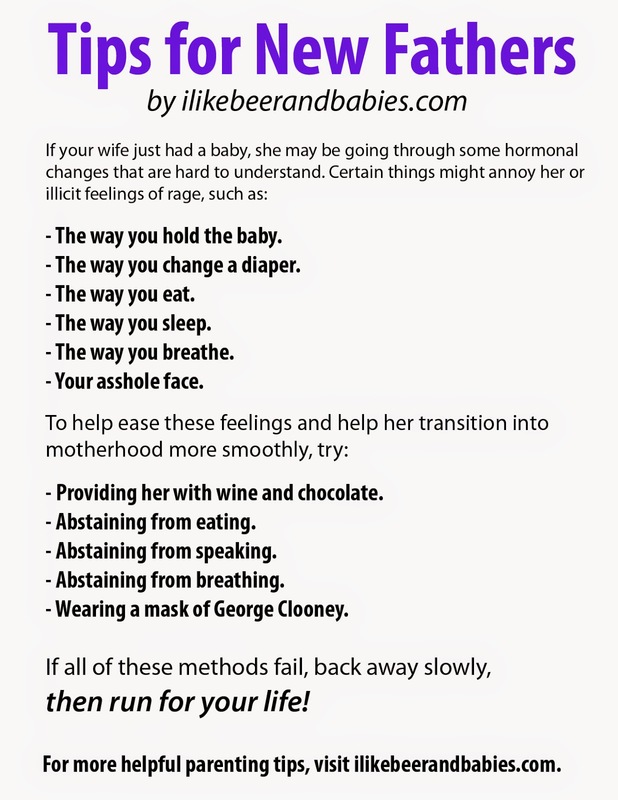 I am printing this off for my soon to be father of two husband! Where was this five years ago?? I think you're my soulmate, seriously. I HATED my husband for like six months when my first baby was born. I mean, I loved him, but I HATED him and his stupid face and pretty much everything he did for the longest time. Postpartum hormones made me ragey. It was very weird.